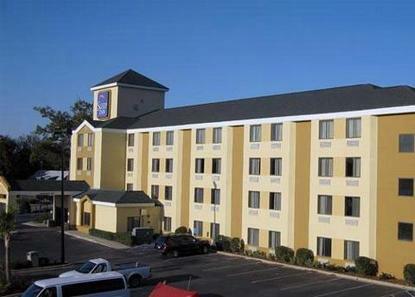 The Sleep Inn hotel is conveniently located off Interstate 20 with convenient access to Interstate 26. This Columbia hotel is minutes from the Riverbanks Zoo and Garden, the University of South Carolina, the South Carolina State Museum, the Columbiana Centre and Carolina Coliseum. The Columbia Metropolitan Airport is just 10 miles away. Enjoy our free Morning Medley breakfast each morning. Each guest room is well-appointed with microwave, refrigerator, hairdryer, iron/board, coffee maker, and free high speed internet access.